The pursuit of the Asean Economic Community – with the goal of forming a single market and production base with a free flow of goods, services, capital and skilled labour – is now in its final stretch. By Dec 31 next year, Malaysia, as Asean Chair by that time, will be declaring the region an integrated one. One big anxiety among Asean enthusiasts is what the organisation actually means to common people. With Asean having been a top-down establishment, the distance between the government-based body and ordinary South-east Asians is only to be expected. But after almost 50 years without this distance becoming considerably shorter, some explanation is needed as to why. One obvious reason is that national governments tend not to give credit for achievements attained through regionalist processes to Asean, preferring to take the credit for themselves. However, what should make Asean supremely interesting to all South-east Asians lies in the significance of regionalism as an extension of post-colonial nationalism. Nationalism is not an end in itself, and even independence should be considered the means towards securing freedom for, and the development of, the region’s societies and individuals. THE region has had a relatively peaceful existence, partly because of its archipelagic nature and partly because, for a long time, it lay outside the main theatres of world events. Inevitably, South-east Asia was, to an extent, a thoroughfare for goods, people and religions. But, in truth, “South-east Asia” as a concept is a recent creation coined for strategic reasons by the Europeans during World War II. As the British and the French retreated westwards away from the advancing Japanese, South-east Asia became a front, a buffer, for limiting the war. American perspectives, on the other hand, were more focused around East Asia than to the region further to the south. The concept of “South-east Asia” thus came into being in the furnace of World War II, and the Cold War. Between 1945 and 1990, the region played the role of a buffer zone between the global Left and the global Right. Where polities are concerned, not only can we traditionally cut up the region into Buddhist, Muslim and Catholic areas at the very least, but we can also distinguish a continental South-east Asia from an archipelagic South-east Asia. We can also separate maritime economies in the south from riverine political economies and agricultural economies in the north. Conflicts on mainland South-east Asia also varied markedly from those fought in maritime South-east Asia. And then we have the colonial territories as dissected by the Spanish, Portuguese, Dutch, British, French and Americans. The enormous diversity of the region does make us wonder why we call South-east Asia a region at all. SOUTH-EAST Asia is now a region of “nation states”, proud yet insecure, whose political structures, even today, are the legacy of the rearguard action and retreat strategies of colonial powers. However, the conflicts of the Cold War have been replaced by the low-level tensions afforded by a growing global multi-polarity. We see this change reflected in Asean’s priorities. Its agenda has shifted in the last two decades to include a long string of non-traditional security issues and, most importantly, to focus strongly on economic integration. In other words, Asean has achieved over time an increasingly stronger coherence, a greater global relevance and, most importantly, a deeper sense of purpose. The Asean Way, defined by consensus and unanimous decisions, now appears to be the only path for the region – given how diverse the region is, how insecure its governments feel and how fast each country’s economy is growing – to project stable unity and to magnify its significance on the global arena. In essence, the region’s struggle is to become – and to be seen to become – as proactive and progressive a power as possible, and as significant an economic market and producer as possible. With Asean, South-east Asia found a vehicle through which it can maintain some mastery over its own fate. 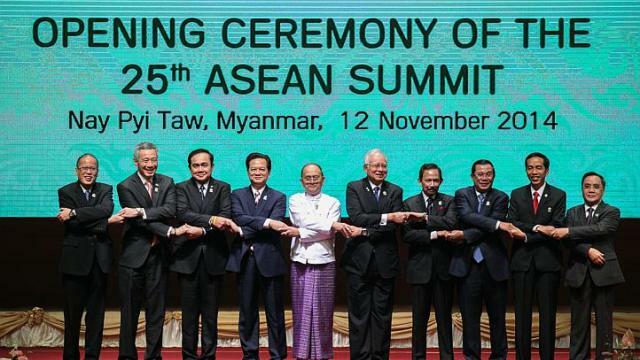 In this sense, putting Asean key in the region, or what is known as Asean centrality, is a new phase in the region’s history, in that it reflects how governments in the region – if not its peoples – are trying to have a greater say in their own fate. What this also means is that strategic thinking in the region can no longer be done as leisurely as it once could have been. Asean has not only to relate to each great power separately, it has also to be much more agile than it is used to being, since the big powers tend to move faster than the Asean Way allows Asean to move. And things are indeed moving. The Brics bank of emerging powers in Shanghai and the Asian Infrastructure Investment Bank in Beijing, together with the maritime and continental Silk Road initiatives coming from China, will all alter the geo-economic picture substantially. The United States has been showing increasing interest in South-east Asia. Other powers such as Japan, South Korea and India are all also angling for strategic space and economic advantages in the region. The perspectives these powerful countries have of the South-east Asian region differ, and it is Asean’s task to uphold its own perspective. What we have to keep in mind is that Asean came into being, not only as a response to the Cold War, but also as part of the decolonising process. The Asean project has the important function of liberating, not only nations, but also peoples and individuals. And so we see the importance of the sociocultural part of Asean integration – the part about human dignity, rule of law and good governance; the part of regional integration that is often overshadowed by “harder” goals. The process of regionalism is part of the process of nationalism – with nationalism understood as a process of general liberation. Regionalism holds the potential to check the exclusivism, the paranoia and the politicisation of society that nationalism visits upon new countries. The Asean Way has to be understood in that context. It grows out of the unavoidable need to unite the inevitable diversity of South-east Asia. The writer is deputy director of the Institute of South-east Asian Studies. His most recent book is The Eurasian Core And Its Edges: Dialogues With Wang Gungwu On The History Of The World.